Otto von Schirach drops another comic book of downright Miami bass, err … a new EP on Monkeytown. This record has such a strong viusal content, that even when listening to it on bad speakers you will hallucinate pictures of parrots, birds of paradise and other likewise vivid tropical creatures. Miami’s supermeng mixes beautifully scuplted bass drums with classical 808 hihats to shape this crazy sound on top of which he raps and sings in his very own interpretetation of Spanglish. It sounds like Sancho Panza with Goldchains on a beach with lots of girls, dinosaurs and multicolored bubbly in a magnum bottle. 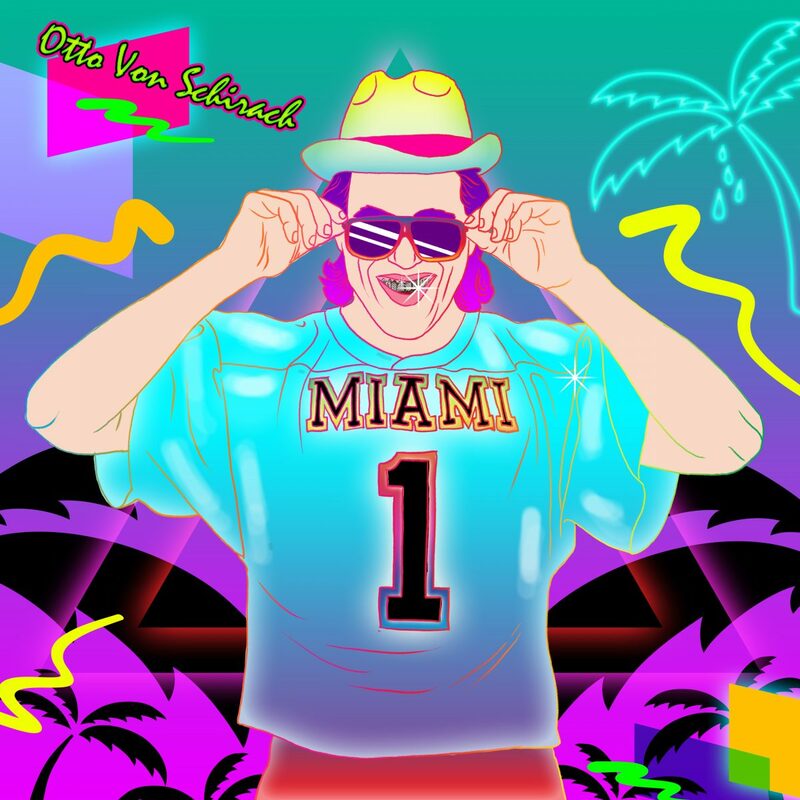 There is of course a serious side to it as well, as Mr. von Schirach is a mutlifaceted mega talent that nods his musical genius hat to Detroit Electro and 2Live crew this time. There’s rainbow colored unicorns in that hat too and a whole lot of energy to bounce your feet to until you are ready to be supermenged.